2013, LED lighting applications market in America was $ 4.92 billion, which is expected in 2014 will grow to $ 7.2 billion, an increase of about 46.3%; 2013, China’s LED lighting applications market size was 305 billion yuan, almost equal to America’s market capitalization at the same period. From the high growth of America in 2014, the domestic LED enterprises developing from meeting the domestic demand to exports to the North American market has a strong feasibility and strategic importance. See from the exit regions, Europe and North America showed an ultra rapid growth, Asia second. 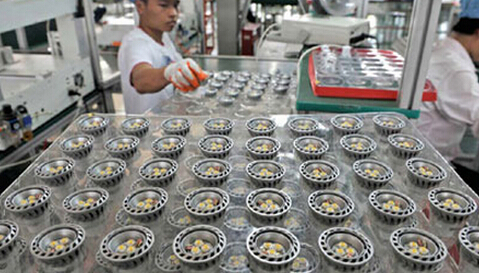 EU is the country’s largest export markets of LED lighting, accounting for 28%; North America is the second largest market, accounting for more than 18%; Japan accounted for nearly 9%, in addition, the emerging markets represented by BRIC countries is also important importer of LED lighting, accounting for about 8% of the whole. Russia has become a faster-growing export area. Overall, North America and Europe is still the main overseas markets of China LED lighting products. North America is the world’s single large LED lighting importer, accounting for the proportion of the global lighting market size of about 21%. Future of the North American market will show rapid growth expected compound annual growth rate of 20%; expected 2020 LED lighting market is $ 27.3 billion; the next two years, an increase of more obvious outdoor LED lighting, LED commercial lighting and industrial LED lighting, special lighting will also be massive growth in the next five years. The key areas of technology LED industry chain by upgrading material costs dropped significantly factors will trigger a new round of cross-lighting applications, open large-scale application in specific areas of aerospace, rail transportation, automotive lighting, and even lighting change may bring completely morphology.